Tucked on the inside coast of the Nicoya Peninsula, Costa Rica, Peaks ‘n Swells Surf Camp is located beachfront and a 10 minute walk down the beach to the funky and much loved town of Montezuma. 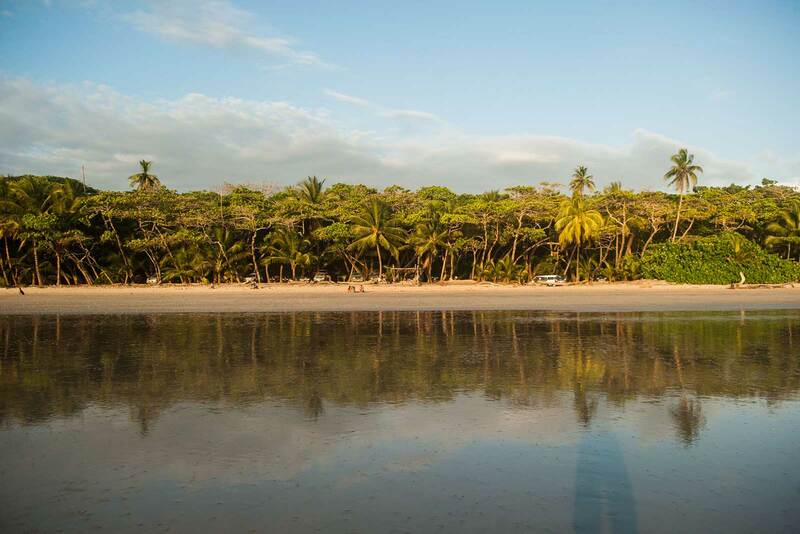 Montezuma is known for it’s naturaleza– it’s the lushest part of the peninsula, bursting with waterfalls, lush jungle, and great beginner – intermediate surf breaks. The little town of Montezuma has great restaurants from organic farmers market fare to the New York Times acclaimed, Las Artistas, Mediterranean restaurant. 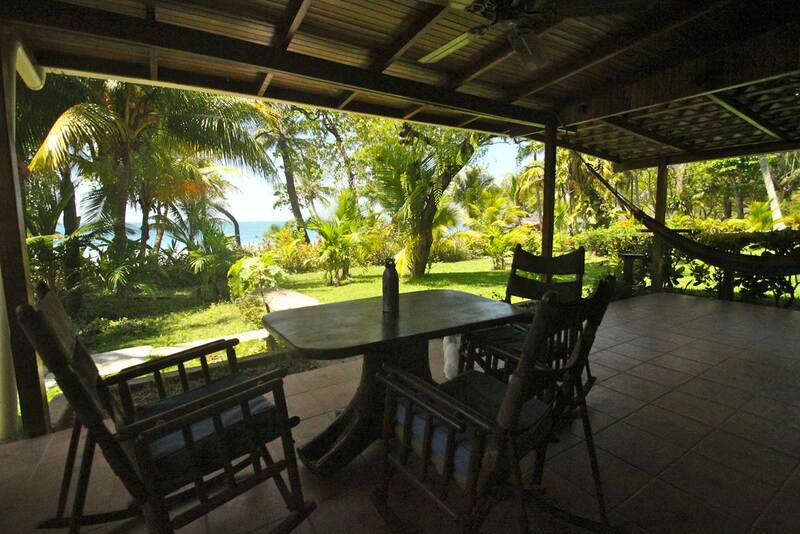 The property is surrounded by lush jungle in the back and an incredible beach in the front. There are three beach houses that accommodate the surf camp on the property. Each has it’s own distinct style and character and all have access to the pool. 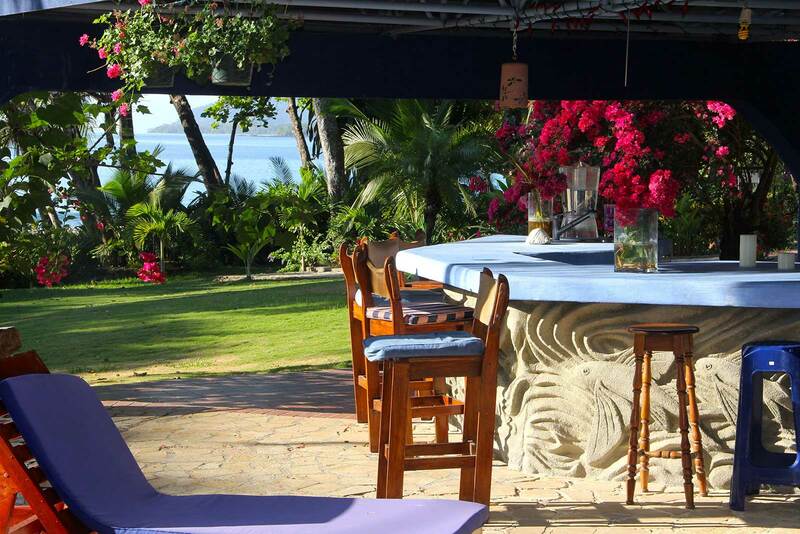 There is an outdoor bbq and bar next to the pool, hammocks and patio, all of which look out on the ocean. It is common to see the white faced monkeys run through the property in the afternoon. Tons of wildlife thrive on the property and its surrounding areas. 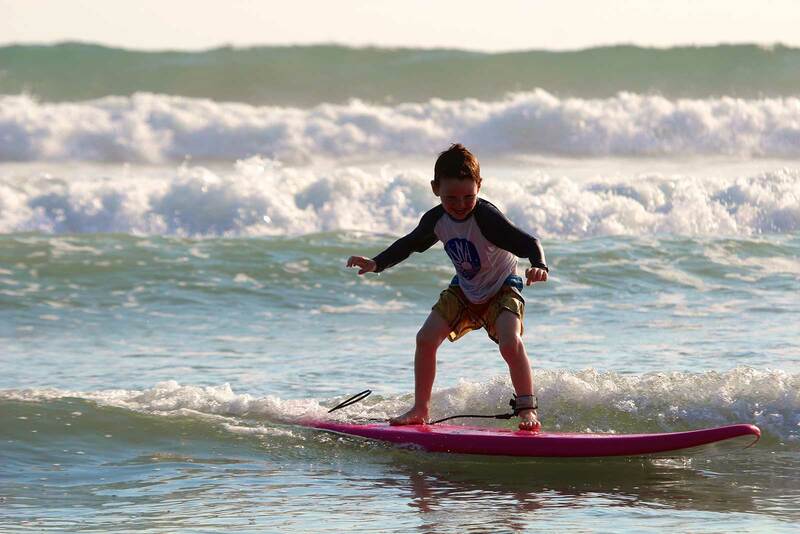 Peaks ‘n Swells sits in an ideal location for learning or progressing in surf skills. 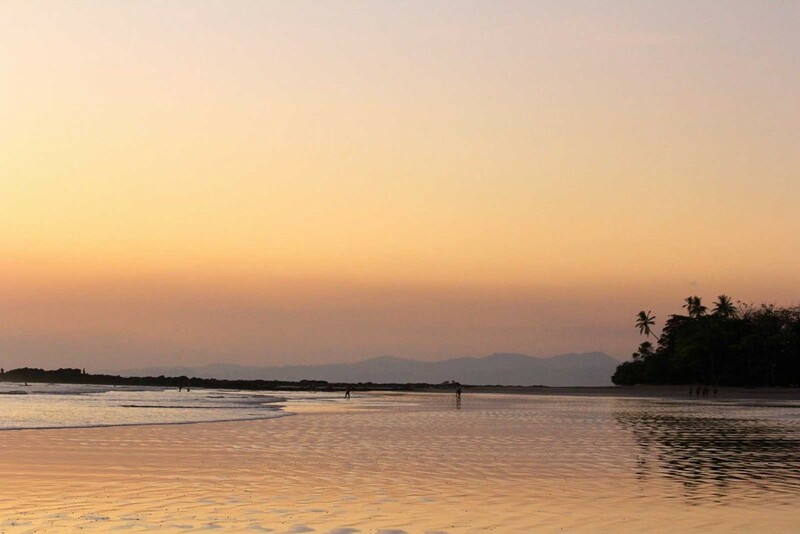 The peninsula offers a full range of surf breaks to accommodate different conditions and skill levels. 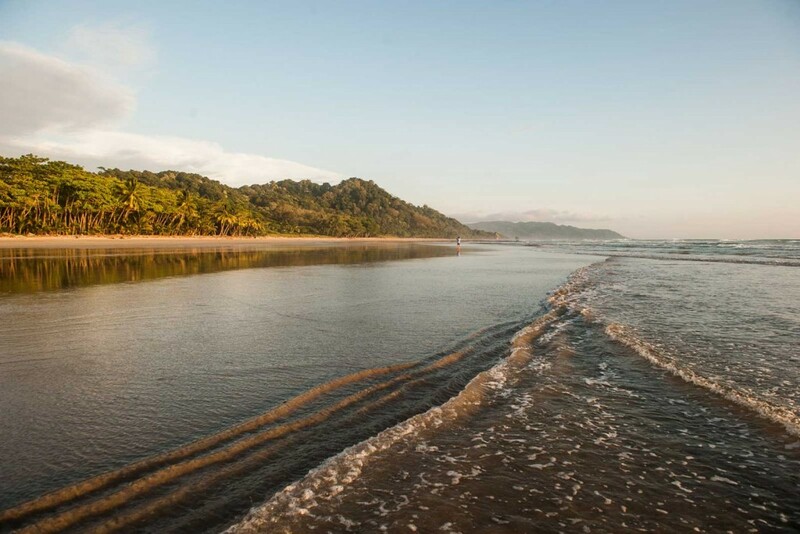 Being located on the inside of the peninsula means the breaks don’t have a strong riptide or current that you find on the open coast of the other surf spots in Costa Rica. This makes it a great place to learn or start back surfing after time away from the sport. Anyone that doesn’t surf on a regular basis can appreciate that keeping up your paddling shape is difficult without surfing. One of the best breaks for learning to surf is Playa Grande. 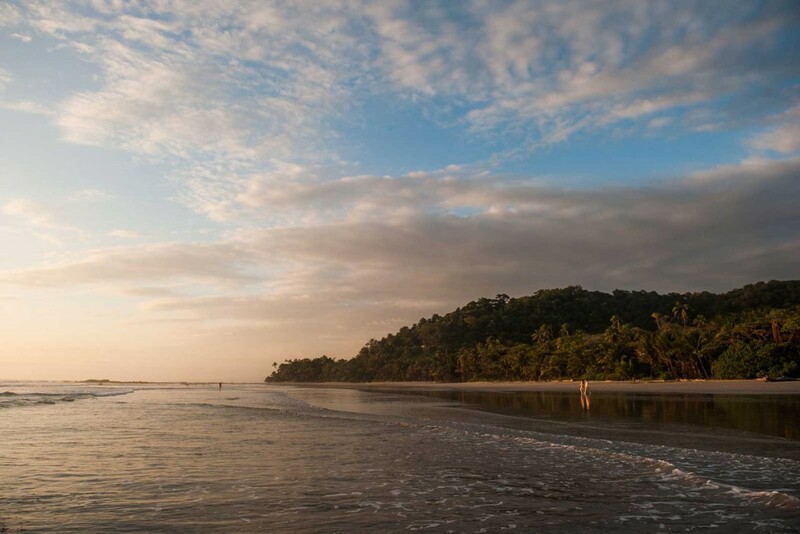 Playa Grande is located in a reserve and Peaks ‘n Swells property is the closest place to the break. 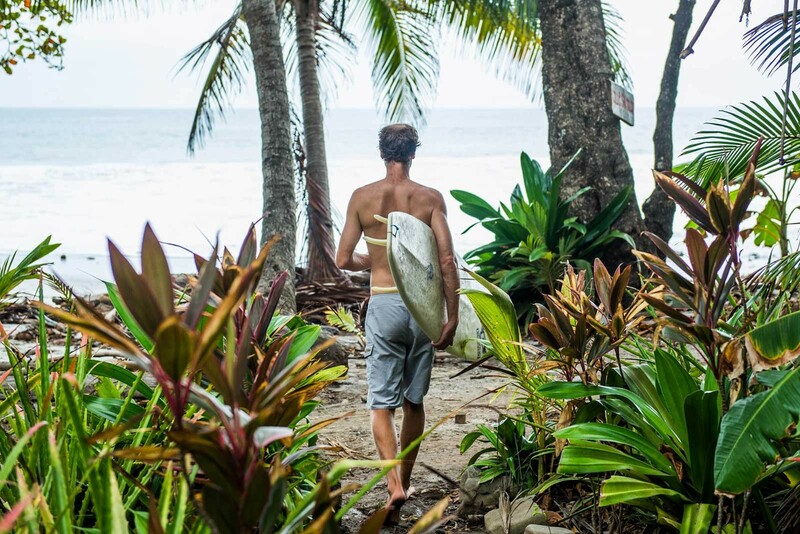 Surfing gets even better with a beautiful hike through the jungle and different shorelines to warm you up for the surf session. The beach offers a huge sandy bottom shallow beach break. For those starting out, these are ideal conditions as you don’t have to stress about getting too far out and concentrate on popping up! The more relaxed and confident you are in the water, the easier it will be to focus on the new skills. 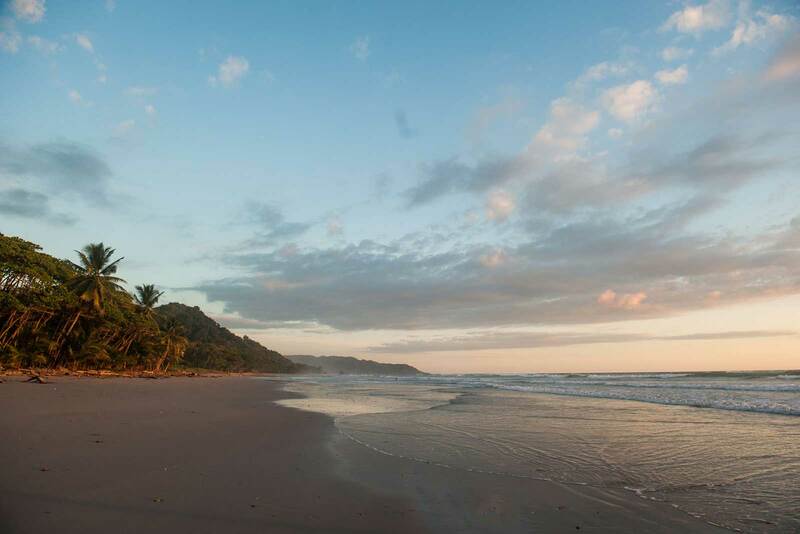 Los Cedros offers a slow moving point break that is ideal for learning to catch your first clean waves. No one ever forgets the first time they catch that clean wave, riding it all the way to shore, grinning from ear to ear. 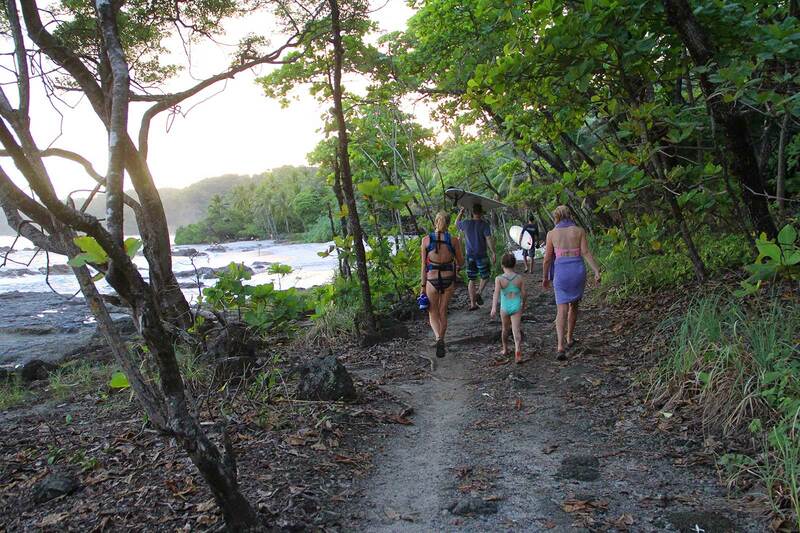 Lajas is partly a reef break and this particular break offers something for everyone. Even when the swell is big, newer surfers can catch beautiful clean waves on the inside and watch some of the country’s best surfers kill it on the big break. The water here is heavenly and the views of the coastline are amazing! Playa Carmen, Playa Santa Teresa, and Playa Hermosa are located on the outside of the peninsula and offer up some of the greatest days of surfing. 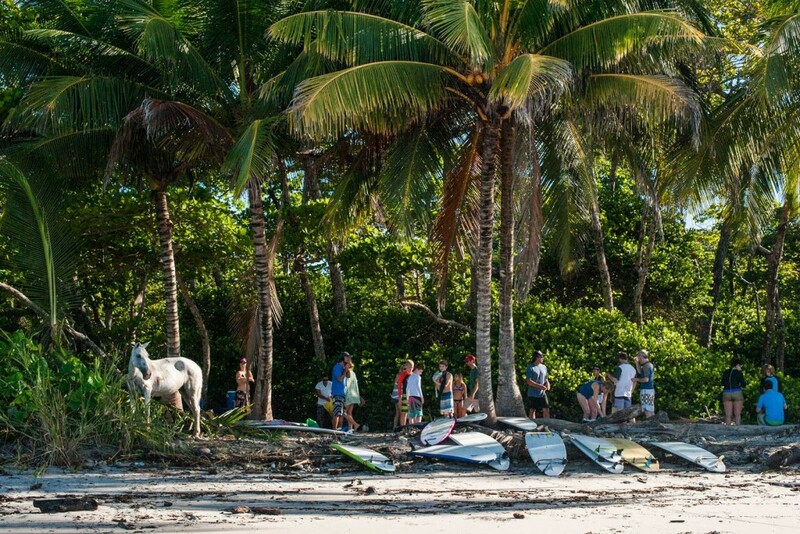 Long rides, tons of breaks to spread out on, beautiful beaches and lots of power in the waves. These sandy bottom breaks are perfect for kids and challenging to accomplished surfers alike. 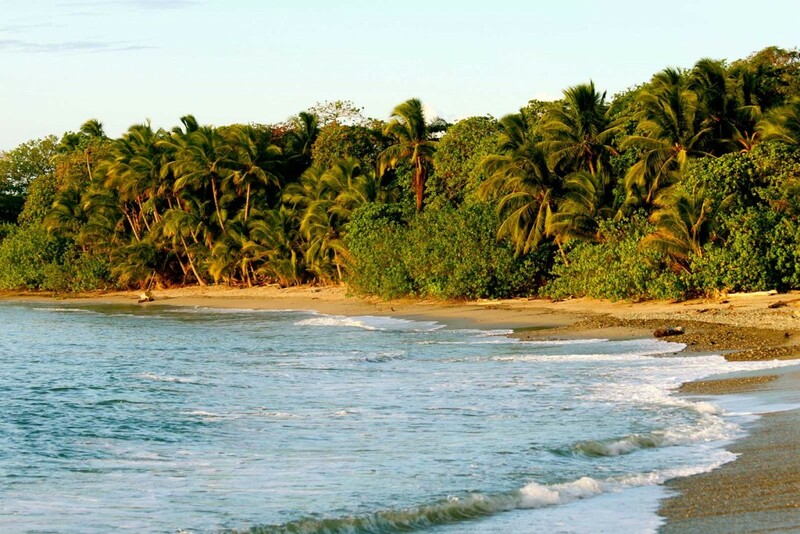 Sunset Reef is located on the outside of the peninsula as well- offering up more power in the waves on a reef break. Conditions change radically on the beaches with different seasons and weather patterns. Peaks ‘n Swells coaches have surfed these breaks and more for years- some more than half their life! Setting you up on the right break at the right time of the tide schedule is part of the process to get you getting the most out of your surfing experience and learning the most.